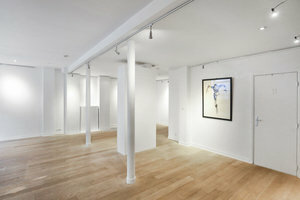 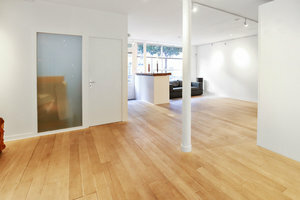 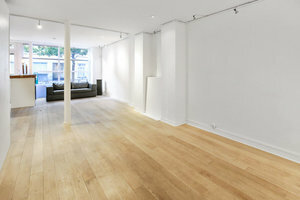 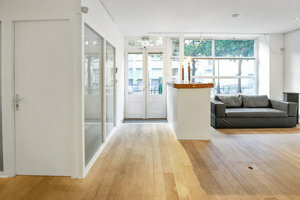 This modern gallery space is located in the busy and popular area of Le Marais, it is ideal for Pop-Up Stores, Product Launches and Showrooms. 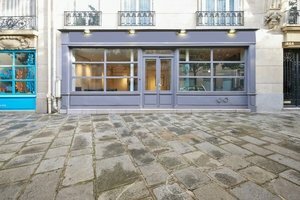 A lovely frontage with a central doorway between display windows framed in grey gives the exterior of this location prestige. 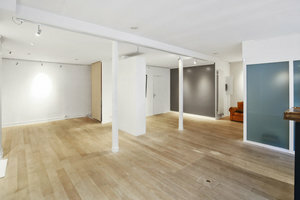 The main space has a contemporary feel with an industrial edge with a mix of white and taupe walls, a light wooden floor and pillars that break up the space. 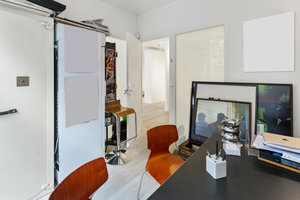 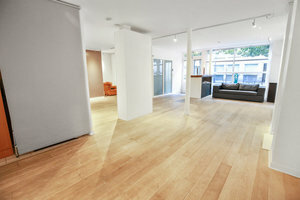 There is a 3 sq m kitchen space and other facilities include Wi-Fi and a security system. 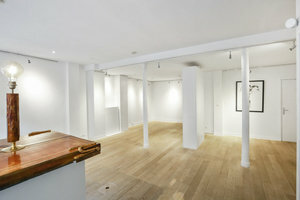 Situated in a busy area popular with shoppers and tourists alike, this space benefits from good foot traffic. 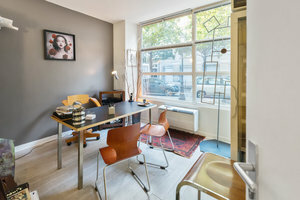 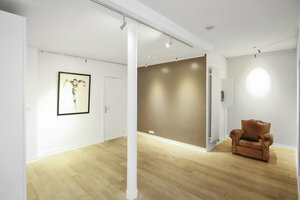 Being home to many famous retailers, art galleries and emerging brands Le Marais is a very sought after part of town.